Connecticut provides counsel to indigent youth through a statewide Division of Public Defender Services overseen by a bi-partisan commission, which appoints the Public Defender, sets compensation, and engages in policy making. The Division employs a staff of permanent juvenile defenders throughout the state and has a federally-funded Juvenile Post-Conviction & Re-Entry unit that represents adjudicated juvenile clients who have been committed to the Department of Children and Families. The Division contracts with private attorneys who serve as “Special Public Defenders” when the Division has a conflict of interest. The indigent defense system is entirely state-funded. The Division, which is required to “establish training, practice and caseload standards for the representation of children, youths, indigent respondents and indigent legal parties,” Conn. Gen. Stat. Ann. § 51-296(c)(3), released Performance Guidelines for Counsel in Juvenile Matters, intended to serve as a guide for the representation of youth clients in delinquency proceedings. These advisory guidelines were designed for counsel to evaluate and improve their own performance and cover a variety of issues, including role of counsel, plea negotiations, trial preparation, disposition, and appeal. In addition to statutes and case law, juvenile court proceedings are governed by court rules. These are often promulgated at the state level, but may also be passed at the local court level instead of or in addition to statewide rules. Connecticut’s juvenile court rules are called the Rules of the Superior Court – Procedure in Juvenile Matters. Prior to a youth’s initial plea hearing. Conn. Gen. Stat. Ann. § 51-296(d); Conn. R. Super. Ct. Juv. 30a-1(b)(2). Competency examinations. Conn. Gen. Stat. Ann. § 46b-128a(b). Detention hearing. Conn. R. Super. Ct. Juv. 30-3. Before and during questioning. Conn. R. Super. Ct. Juv. 30a-1(b)(3). Appeals. Conn. R. Super. Ct. Juv. 30a-9; Conn. R. Super. Ct. Crim. 43-33(a). 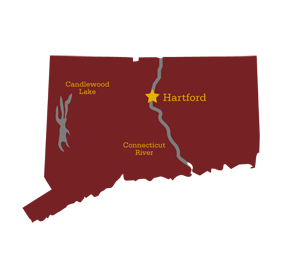 Connecticut has no presumption of indigence in juvenile court proceedings. In a delinquency matter, the public defender office makes the determination of whether a defendant is indigent, and the court designates a defender to represent the defendant. Conn. Gen. Stat. Ann. § 51-296(a). An indigent defendant includes a youth who has a right to counsel and does not have the financial ability to secure legal representation based on the finances of the youth and the parents or guardian. Conn. Gen. Stat. Ann. § 51-297(f)(2); Conn. Gen. Stat. Ann. § 46b-135(a). In order to determine eligibility, the parents or guardian of the youth must complete a written statement under oath with information about liabilities, assets, income, and other information required on the forms. Conn. Gen. Stat. Ann. § 51-296a(c). Connecticut does not have a specific juvenile statute or rule addressing a juvenile’s waiver of counsel. Juvenile case law interprets and utilizes the adult waiver of counsel statute (though courts apply greater scrutiny to this analysis compared to the knowing and voluntary analysis of an adult’s waiver of counsel – see, e.g., In re Manuel R., 543 A.2d 719 (Conn. 1988)). Has been made aware of the dangers of self-representation. Conn. R. Super. Ct. Crim. 44-3. When and how the court may decide to detain a child or otherwise place restrictions on the child’s freedom is defined by statute and court rules. In Connecticut, a detention hearing must occur on the next business day following a juvenile’s arrest. Conn. Gen. Stat. Ann. § 46b-133(e); Conn. R. Super. Ct. Juv. 30-5. Provisions for the detention of juveniles are found in Conn. Gen. Stat. Ann. §§ 46b-133 and Chapter 30 of Rules of the Superior Court – Procedure in Juvenile Matters. The legal needs of children in the delinquency system rarely end at disposition, and states vary in the way they provide a right to representation on these post-disposition issues. The juvenile court rules state that the same rules applicable for other appeals apply for delinquency appeals. Conn. R. Super. Ct. Juv. 30a-9. Defendants have the right to counsel in criminal appeals. Conn. R. Super. Ct. Crim. 43-33(a). Therefore, youth have the right to counsel in delinquency appeals. Connecticut does not have any restrictions on how long the juvenile court can retain jurisdiction of a youth. Discretionary Judicial Waiver: If a youth age 15 or older is charged with a certain statutorily delineated offense; a class C, D or E felony; or an unclassified felony, then the prosecutor can file a motion for transfer, and the court will consider the youth’s age, probably cause, and the best interests of the youth and the public, and other factors. Conn. Gen. Stat. Ann. § 46b-127(a)(3), (b)(1). Mandatory Judicial Waiver: Any youth age 15 or older charged with a capital felony, a class A felony, or a class B felony is automatically transferred to adult criminal court. Conn. Gen. Stat. Ann. § 46b-127(a)(1). NJDC has not yet conducted an assessment of the juvenile indigent defense system in Connecticut. If you would like to collaborate with NJDC to fundraise for, plan, or engage in an assessment in this state, please contact us.